Thread: Will 18 clear gen2 ccb's? I'm wondering if an 18" wheel (345/35/18) will clear the CCB's? Anyone have any idea? Re: Will 18 clear gen2 ccb's? I think you need a minimum of 19" to clear them. Gen 1 and Gen 2 CCB discs are the same, 380mm diameter. 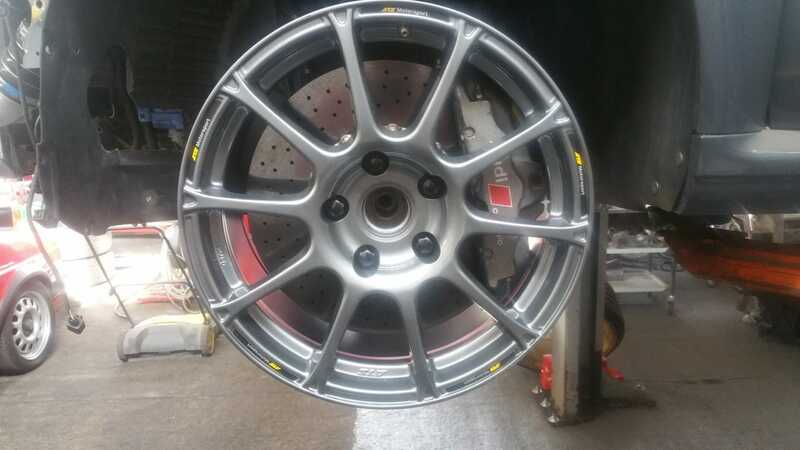 the only 18" wheel that clears the 380mm CCB discs is the ATS GTR Motorsport wheel. Especially made for that application (originally for BMWs 380mm discs but fits others too). http://atswheels.com/atswheels/portfolio/gtr-gtr-evo/, max size is 11x18 so a 325/35/18 is max. I had the 380mm discs with Brembo 8 Pot R8 (the R8 brake, just the centers with BMW 5/120) and the ATS GTR in 9.5x18 on my BMW 1M. Last edited by Helldriver; 04-01-2019 at 05:51 AM. 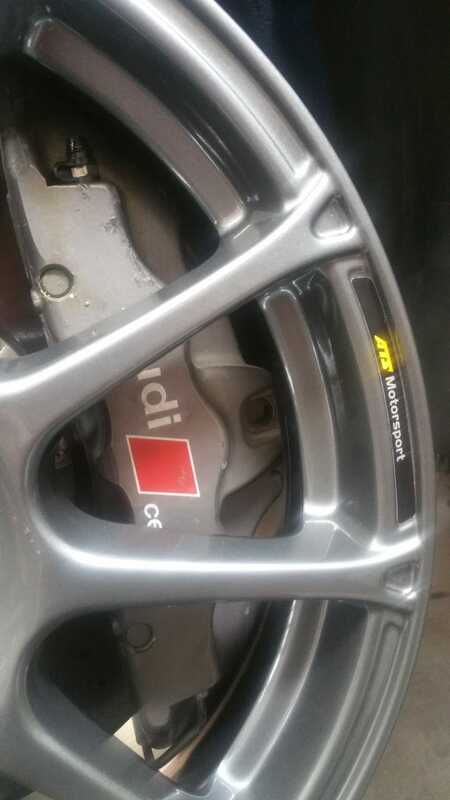 Here's a couple of photos of my car showing clearance on 20" wheel with CCB brakes and calipers. This is amazing. Thank you, these will form the basis of my track tires! 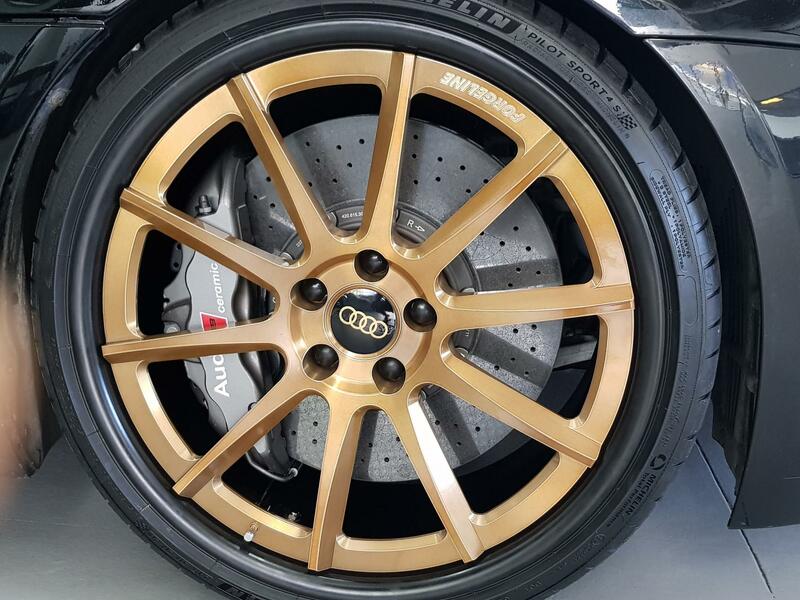 I can confirm they fit R8 with CCB, friend tried it out with his ATS GTR 9x18 and CCB brake. Last edited by Helldriver; 04-04-2019 at 02:50 PM. do you know the offset for the front 18 x 9 rim ? 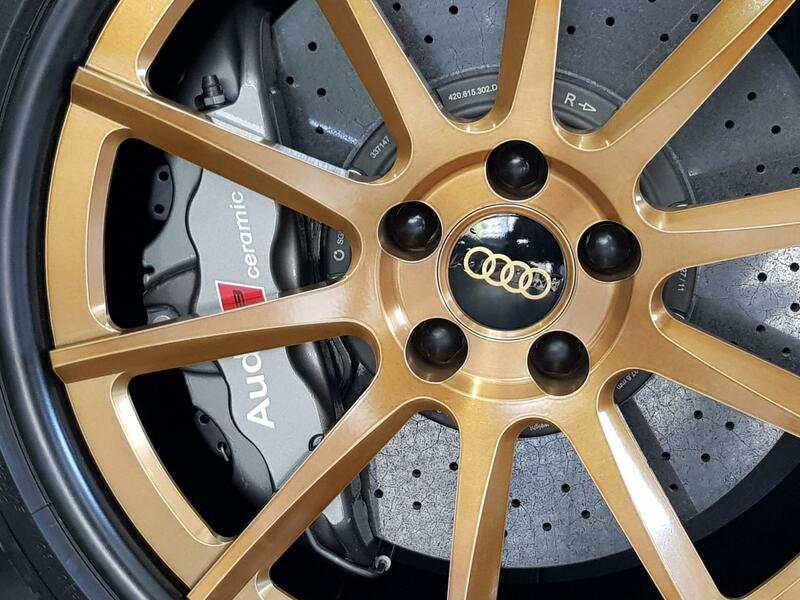 ATS GTR is a very common track wheel for 911 and cayman GT4 in sizes that fit the R8. So you get them new as tuners order them upfront/stock them or used with offsets around 45-55 which gives you 20mm space for the adapter plates. will ask him about ET and adapter plates. Last edited by Helldriver; 04-05-2019 at 06:47 AM. Those with CCB - where do you get your tires changed? Clear Bra Hood...what about the Audi 4 rings/circles logo? Stick on top of clear bra? clear coat / clear bra experience?